If you would’ve asked me (or anybody in computer industry for that matter) seven years ago about a ‘Fast enough PC’, the answer used to be a simple one. Never! At that time it was a notion simply beyond our imagination. It was believed that PCs can’t be fast enough or at least not up to the point where one could say it was too much power! Surely there were PCs that could do wonders and technology that were no less than ground-breaking but the fact that you could do so much back then with your PC, more power was always welcome. In the last decade a ‘Fast enough PC’ used to be an exotic assembly of the best parts that money could buy and yet many things were left to desire. Thank you for reading up to this point and I know what you are about to ask. Why am I telling all this now, in 2011? Well the answer is not that simple but to satisfy your curiosity, I’ll tell this much- things have changed. And have changed in a rather radical way. If you are an enthusiast or one of those ‘forum junkies’, then by now you know what I’m going to convey. But to the rest I’ll urge to read on. The last ten years or so have been marked by many technical and scientific breakthroughs which in process have impacted the way we do and see things. People are much more tech savvy now than they ever were. Technological advancements have come at a very fast pace and we’ve adopted just fine. But if there is one industry that in particular saw the biggest and fastest improvements throughout this period, it has to be the Computer industry. To be specific the world of personal computing as we know it has been blessed with some astonishing growth. This growth has been two-fold, both volume and quality have increased in a dynamical fashion. Gone are those days when you had to search the market in and out to buy a decent CD drive with 4x operational speed. Gone is the idea that desktop PCs are for professionals and 64 MB (yes, you’re reading it right) memory is luxury! In this era of 4G and Tablets, we are seating up there with the latest and greatest. Our country, India, is no different as the common people are indulging themselves into the marvels of silicon more and more. You can get yourself a super fast PC in no time if you have the will and of course the money. Things have been better than ever (not holding the global recession in account), but that is the big question: do we really need this much power? Or these advanced computing techs are just serious ‘over-kill’? The fact that you can spend just about 15,000 INR and have a new, fast and powerful system puts some serious question marks on the reasoning and merit behind the so called ‘High-end’ stuffs. How much do you need to spend actually to get yourself a ‘Fast enough’ PC? Many tech websites and forum around the net are trying to answer this question right now and believe me this is the best time to ask such questions. It is simply because as far as personal computing goes we have long passed the barrier of being bottlenecked by the PC itself. Today the bulk of operations one can expect from a general PC, are easily achievable from even the slowest system of this generation. Today’s desktops pack the power similar to that of a mainframe system or server cluster from last decade. And that is some statement to make in itself. But before we look at the computing power granted by today’s hardware, we should ponder a bit more on the changes that lead us to such performance. As I mentioned earlier there’ve been some significant advancements in the field of computing. And as it is with everything else, the most important aspect of modern computing lies in its core (literally). In this case, we’re talking about the x86 core since it’s this x86 architecture that dominates the world of PC. Though there are several other RISC based architectures that still exists, they follow a different path altogether. The consumer (people like you, me and uncle Scruz) market of personal computing still evolves around the tested and proven x86-platform. And the most critical part of your Pc still remains its CPU. Here is one thing that you should take into consideration though, CPUs don’t enjoy as much supremacy now a days as they used to do back in 2001, mainly because of the emergence of modern GPU, but more on that later. CPU architecture has constantly evolved and as a result today’s CPUs can deliver amazing performance, and that too within a reasonable amount of money. There are many reasons as to why and how we managed to achieve such power, but we shall cut down to the main and most relevant ones. 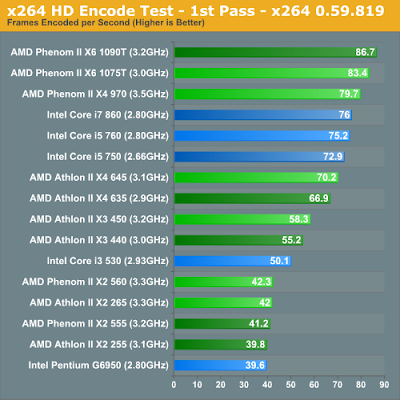 1.> 64 Bit and integration of MCH- The shifting from 32 Bit to 64 bit computation has allowed the Processor to execute more complex instructions. Also now the CPU can utilize more resources (i.e. RAM) than ever. Also the fact that most of today’s processors have their MCH (Memory controller Hub) built into the chip itself has contributed greatly to overcome the FSB (Front Side Bus) bottleneck making the CPU faster than ever. 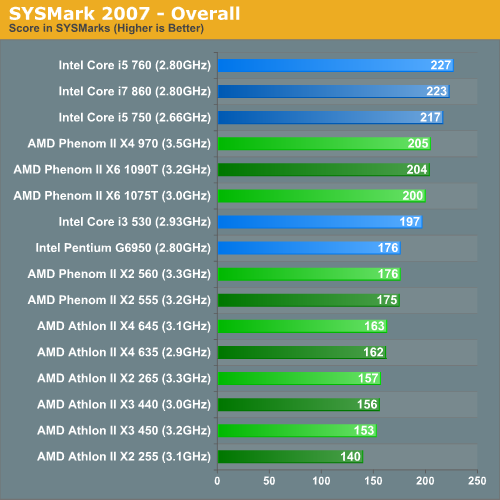 This was first implemented by AMD in their Athlon 64 series of CPUs. Now Intel has the same in their latest i7/i5/i3 series. 2.> The cores and threads- CPUs have greatly changed in the manner they used to operate because the pattern of the usage has also changed. A CPU is traditionally serial in nature but after the introduction of multi-core processing that has changed drastically. A CPU now is not judged by its operating frequency alone but the number of cores it holds inside also matters. A high frequency is still desirable but at the same time there are many applications where a dual core processor with relatively low set of frequency will outperform one with high frequency but only one CPU core. And this is one trend that will surely increase in future as we already have 4/6 core chips in market. 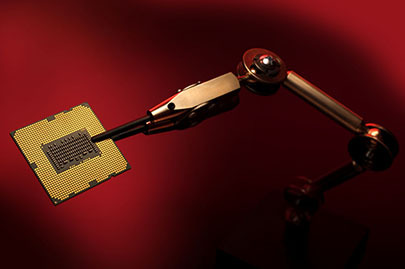 Technologies such as hyper-threading (Intel’s term of SMT-Symmetrical Multi Threading) also add to this increasing use of parallelism, where a single CPU core can execute up to two different application threads. 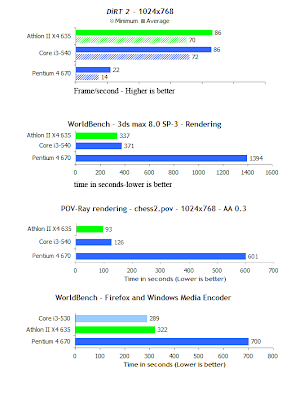 Result being a faster CPU. 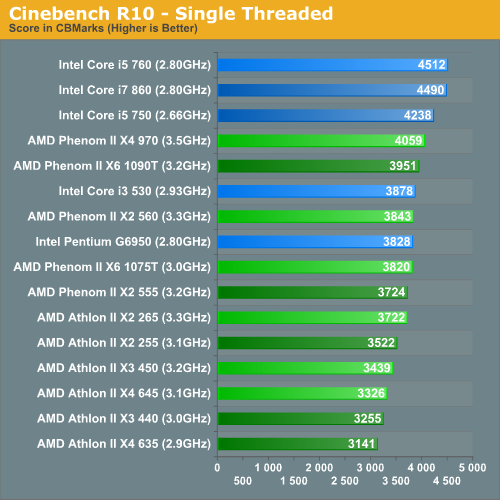 Intel has pioneered this field and AMD likewise follows the same direction. 3.> The Process- ‘As technology grows, things get smaller’ is one of the principles derived from Moore’s law. The fabrication process of manufacturing CPUs is one of the most contributing factors behind the blazing performance of modern CPUs. As the processor die size shrinks the performance takes a jump since it enables more transistors to be put together in a lower power and thermal envelope. As an example,- A Pentium 4 (P4) 670 CPU chip was made in a 90 nm process where as the latest i7 2600k CPU from Intel has been made out of a 32 nm node. So what all these facts lead us to? Before I answer that please have a look on this comparison chart. Here the before mentioned P4 670 (which by the way had a price tag of ~$800 that is more than 40,000 INR, back in 2005) goes head to head with a couple of modern CPUs, Core i3 540 from Intel and AMD’s Athlon II x4 635, as these are two cheap and entry-level CPUs of today. Why use the P4 670? Because it was one of the last Intel single core chips, was considered as one of the fastest with an operating frequency of 3.8 GHz! Quite amazing as far as clock speed goes. This chart below will give you a good idea of how yesterday’s best get along with todays cheapest. After going through those stats its obvious that today’s mainstream chips not only destroys yesterday’s best high-end part but also does so in a lot lower price point. Yes, this comparison is unfair in many regards but I used this only to show how much computing power we have at our disposal now a days. And when I consider the fact that my eight years old P4 1.9 GHz processor is still capable of performing typical day to day operations like net surfing, MS Office, playing some music and watching videos on You-tube, I can’t help but to think that’s lot of throughputs we’ve today. Next we move to the Motherboard, the board that holds everything to its rightful place. To be honest PC Motherboard today is not what it used to be, lots of functionalities of a Motherboard are now integrated into the Processor chip itself. So now the system asks lot less from its Motherboard. The memory controller chip or MCH is now can’t be found in Main-board Northbridge but it resides in the CPU. In latest Intel chips, the GPU and the PCIE controller hubs are also in the CPU. All these are good news for consumers, because lesser amount of components means low manufacturing cost and thus low MRP of motherboards. RAM or system memory is another important part for building a fast enough PC and we shouldn’t overlook that. Finally the days of slower DDR1 is behind us as we’re into the fast lanes of DDR3. But there are a significant number of systems running on DDR2 memory out there. What makes DDR3 better than DDR2 is the memory bandwidth as DDR2 can’t go beyond 1 GHz mark, where as DDR3 easily goes past 1600 MHz and more. On the downside DDR3 also has more latency per cycle than DDR2. And as far as DDR3 frequency goes we are not still sure whether it is better to go with super high frequency of 1600 MHz+ because applications don’t seem to get much benefit from that kind of high bandwidth. So for now there is no harm in sticking to your 800MHz (DDR2) 0r 1033 MHz (DDR3) modules. As I said before, modern CPUs don’t enjoy being the only deciding factor behind the total system performance anymore. This is because of the revolution called gaming and rise of modern GPU (Graphics Processing Unit). A few years ago, people would’ve never thought they need more graphics processing power than what their integrated GPU could grant. It’s the emergence of 3D games that changed every thing. 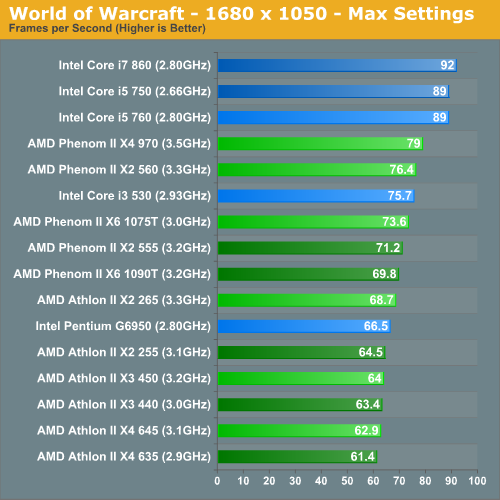 It is a well proven fact that a fast CPU will not warrant smooth game playing unless backed by a powerful GPU. Even then you don’t need the fastest of CPUs what you need is a fast enough CPU that doesn’t bottleneck your gaming experience. The power of discrete (external) GPUs of present is no less than awe inspiring. To day some people even think of GPU as a viable alternative to traditional CPU and that too with good reasons. The architectures of modern GPUs are very complex yet more flexible than that of a CPU. Being vastly parallel in nature, today’s GPUs are very effective not only in latest 3D games but in some other scenarios of parallel data processing, thus provoking the idea of GPGPU or General Purpose computing. But that is a different matter, for common people it is still regarded as a gaming component. And if we look towards the ever growing gaming culture and market (even in India), A GPU is a must for a gaming system. 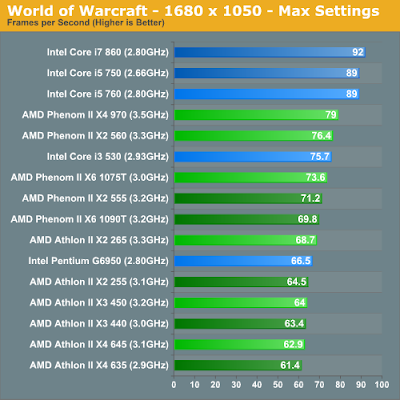 Another good thing is, chip makers like Intel and AMD have been forced to keep up with the entry level of discrete Graphics market and as a result the IGP (Integrated Graphics Processor) of modern generation are much stronger than their predecessors. In fact AMD has introduced a mobile chip for Laptops/Netbooks named Zakate which has an IGP that is similar in performance with some entry level discrete GPUs. Still if you are in process of building a gaming system, you are well advised to consider a discrete graphics card. Otherwise the IGP of modern platforms should serve you well and efficiently. 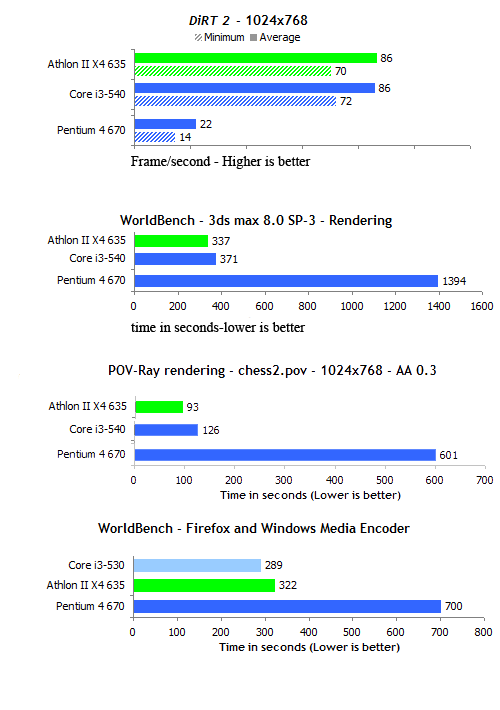 here are some benchmarks from Anandtech, which clearly shows these kind of configurations are more than capable of delivering significant performance for what they cost. N.B.-This is my first try, so please don't flame this. If you find any mistake please point those in a comment. And please ask anything you want to ask.